1. Ira James: born 1872 in Iowa; married Jennie Garrett (1886–1952); died 1947 in Iowa; buried in Sixteen Cemetery, Section #5, Row 17, Thornburg, Keokuk County, Iowa; known children include: Eva L. James, Alice B. James, Gladys Pearl James, Opal L. James, Raymond James, Gerald Carl James, Viola A. James, Everett Leroy James, Agnes E James and Wilma Pauline James. 2. Lowen L. James: born 1875; died 1907; buried in Sixteen Cemetery, Section #1, Row 3, Thornburg, Keokuk County, Iowa. 3. Ellen A. James: born 1876; married to Charles O. Bensler (1877-1933); died 1965; buried in Garrett Cemetery, Delta, Keokuk County, Iowa. 4. Mary James: born 1879; married Wallace Monroe Burtlow (1873–1960); died 1965; buried in Garrett Cemetery, Delta, Keokuk County, Iowa. Israel B. James (1850-1924) was the son of Israel James (1814-1896) of Jefferson County, Ohio and Lydia Ann Harrison (1814-1902). 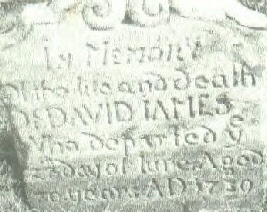 Find A Grave Memorial for Ira James (1842-1947), Memorial ID No. 33220072, created by Zelda Capehart, added January 24, 2009. Find A Grave Memorial for Lowen L. James (1875-1907), Memorial ID No. 33220094, created by Zelda Capehart, added January 24, 2009. Find A Grave Memorial for Ellen A. James Bensler (1876-1965), Memorial ID No. 115340084, created by Gina, added August 12, 2013. Find A Grave Memorial for Mary James Burtlow (1879-1965), Memorial ID No. 11262578, created by Melissa Siegfried, added June 29, 2005.